ZhurnalyWiki: Minnie Merle Meinke Zimmermann, R.I.P. Minnie Merle Meinke Zimmermann, R.I.P. Minnie Zimmermann was a star. She was born December 26, 1932, and for more than 85 years she shined brightly for a constellation of friends, family members, colleagues, and acquaintances. Shortly after injuries from a fall, her health faded and she passed away quietly on April 28, 2018. Born Minnie Merle Meinke — "Merle" professionally, "Mimi" or "Nana Merle" to grandchildren, "Minnie" to those closest to her — in the depths of the Great Depression she grew up in central Texas, in and around the German-heritage farming community of La Grange. Her brilliance was already sparkling in high school when she was valedictorian as well as serving in multiple roles: class treasurer and secretary, writer and then editor for the school newspaper, Library Club leader, and more. Minnie's prowess in analyzing and diagramming sentences was legendary. So was her near-photographic memory for anything she read. After graduation, Minnie began a career as a secretary, first employed by a local legal-records firm. She married her high school sweetheart, Werner Zimmermann, who gave her driving lessons on rural farm-to-market roads. After her two sons were born the new family moved to Austin. Her marriage ended in divorce a decade later. Minnie raised her boys while working as an office associate for the Federal Aviation Administration at the town's radar approach control center. Her meticulous attention to detail, her twinkling spirit of fun, and her serious diligence when appropriate were noteworthy and much applauded. She took a break from secretarial duties for a few years and worked at the local post office, then returned to finish an FAA career where she led the clerical cadre. Minnie was a voracious reader. Her home was full of books — multi-volume sets of Nancy Drew (girl detective), Tom Swift (boy inventor), and Sue Barton (nurse) stories, along with countless magazines, newsletters, encyclopedias, novels, and nonfiction. She constantly took her sons to the library and helped them get jobs there shelving books. Minnie was also far ahead of her time as a gamer. She solved crosswords, crushed opponents at cribbage, and when early-generation video games appeared became a cut-throat master of Tetris, Jumpman Junior, Joust, and other Nintendo titles. She excelled at Dr Mario and never lost a serious competition to her sons at it. Only her sister could challenge her high scores. Above everything, throughout her life, Minnie shined as a cheerful helper to all who needed assistance. For many years she drove elderly neighbors to medical appointments and on shopping expeditions. 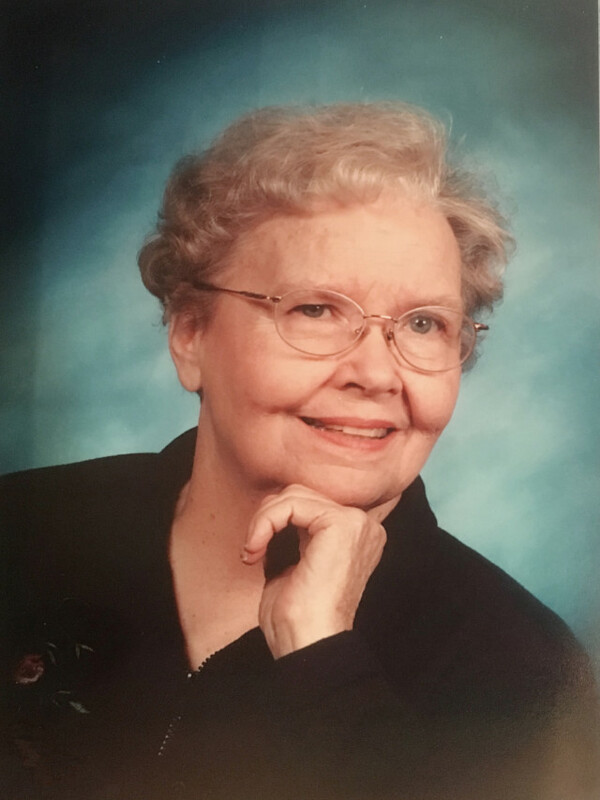 Minnie was active in her church, Messiah Lutheran, where she volunteered at a spectrum of events including holy services, food banks, and social gatherings. Minnie enjoyed music and was a strong amateur pianist. She took delight in her backyard bird feeder and the creatures who came — including squirrels, opossums, and raccoons. She especially loved cats and gave nicknames to the ones who roamed the neighborhood — "Bummer", "Two Socks", "Fat Cat", etc. Her heart was huge. Minnie leaves behind a galaxy of those whose lives she brightened. Her light will long be remembered.